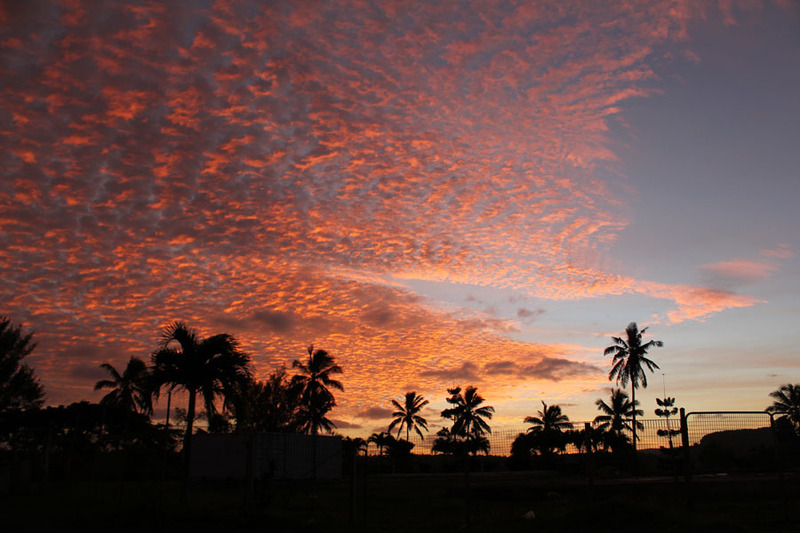 Tonga – a little paradise in the South Seas, between Fiji and the Cook islands. A kingdom with around 105.000 inhabitants (noone knows for sure) – and not one McDonald’s. First thing that deeply impressed me. The second was, that for a couple of bugs, I bought my own Tongan driver’s license. Which is still displayed prominently on my wall next to postcards from exotic places and jumping pictures in front of waterfalls. This one month getaway was the destination of choice after having cruised all over New Zealand during my 8 months as an au pair and subsequently for 3 constant months and 10.000 km in my newly acquired campervan. That, btw, we luckily were able to sell on the very day we left the country. Three hours before our flight. Tschakka. Yeah alright, that looks awesome. But why actually name it friendly islands? When Captain James Cook first visited Tonga in 1773, he was so impressed by the hospitality he was welcomed with that he couldn’t help dubbing the country “friendly”. Not realising the overly kind attitude of the locals was actually a concealed plan to rob the boats and kill the whole crew. However, the conspiracy failed when nobody was able to agree on the best strategy, and Cook sailed away unaware of his intended fate. Ironically, his positive nickname for the Kingdom of Tonga remains in common use. It is four years ago that I visited Tonga. I can now with a clear conscience announce that we’re still unharmed, nobody robbed us, and Tonga is a perfectly safe and heavenly peaceful place to visit. So let’s stick to the friendly part and keep exploring. Cause honestly, this place will blow your mind. 176 islands (of which only around 40 are inhabited) are sprinkled over 700.000 km² of ocean, while the total land makes only 740 km² of the kingdom’s area. That’s smaller than New York City. 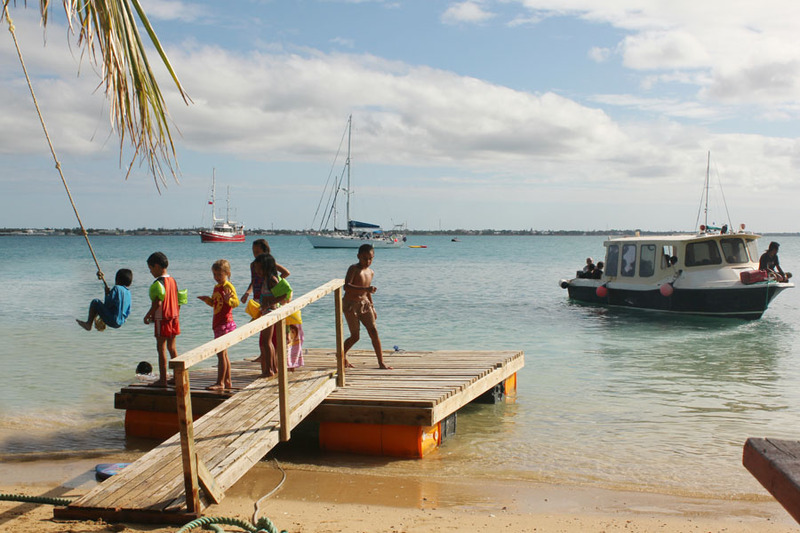 Tonga is only accessible from New Zealand, Australia and Fiji. If you’re then surprised by the small plane taking you all across a the ocean, look forward to the regional planes, with barely 30 seats and still operated with propellers. Fun Fact: Because Tonga and Samoa are east of the 180th meridian, they should be in the same day. Should. But Tonga wanted to keep up with Australia and New Zealand for economical purposes, leading to the arbitrary result of draw the line east of Tonga, putting it 1 day ahead of Samoa. When, eventually, also Samoa travelled back to the future and erased one day in their calenders to be west of the international date line again. 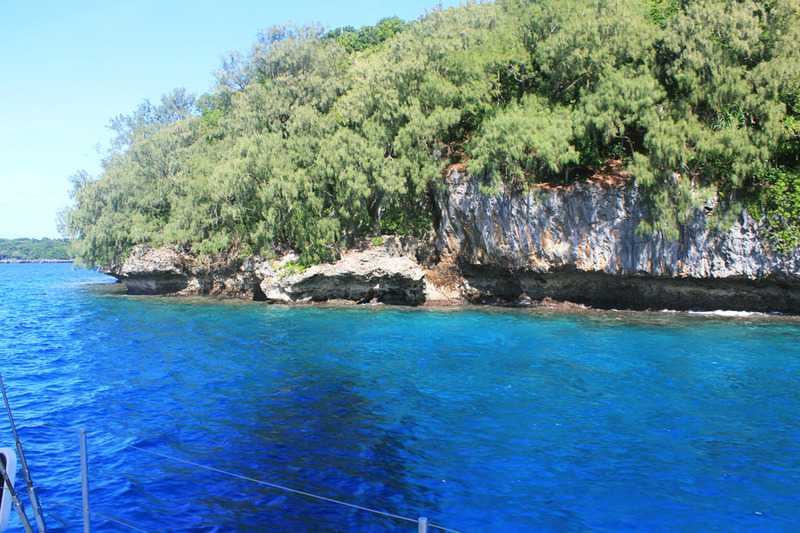 The Tongatapu Group includes Tongatapu island, the biggest and southernmost of the whole country. 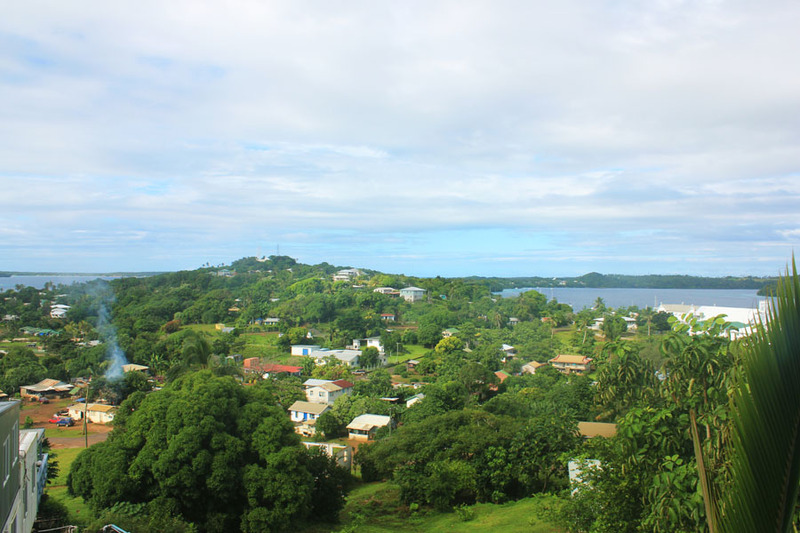 Home to the king in the capital Nuku’alofa as well as 70 % of the country’s population, it represents a centrum of Polynesian culture. The Ha’apai Group is ideal for beach lovers and adventurous souls off the beaten path, and combines colorful coral islands with soaring volcanoes alike. Untouched, uncrowded, unhurried, but rich in local hospitality. 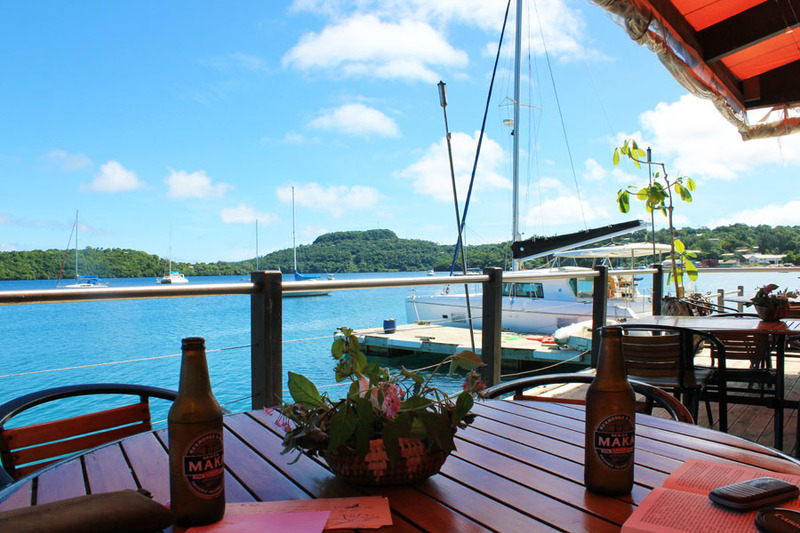 The Vava’u Group is world famous for its fjordlike, sheltered harbor and known as one of the best places for whale watching. 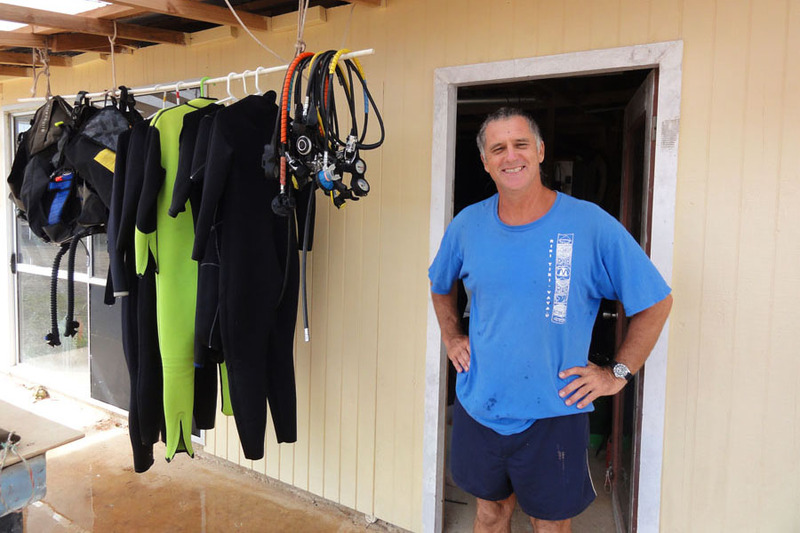 Deserted beaches and azure lagoons attract divers, paddlers, fishers, sailors and explorers alike. The underwater life so diverse and rich in color, it makes the perfect role model for any western executive board. 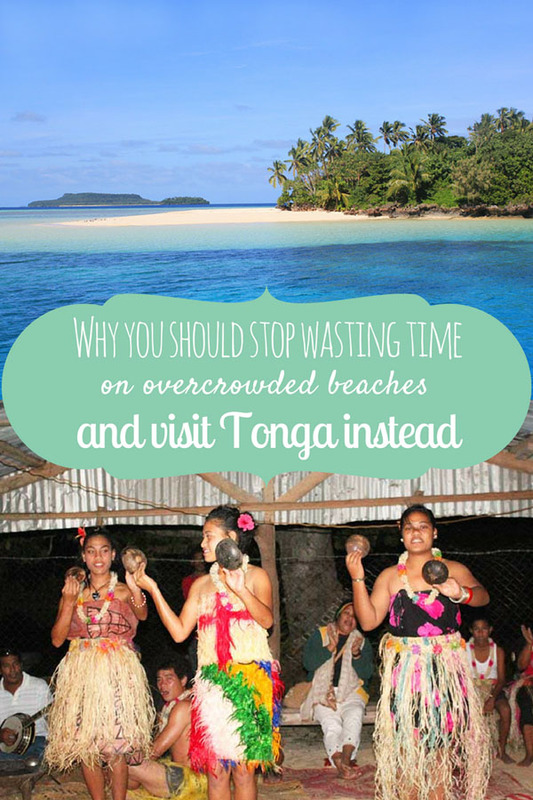 Tonga is one of those countries that is unpolished and unfailingly authentic. Everybody who has been there will agree on that. But why, a curious explorer’s mind would wonder. Well, it is the only Pacific country that has never been colonised by a foreign power. This way they were able to keep their original culture and traditions to a great extent. Sure, western lifestyle has found its way in the past years, however numerous Tongas still wear the traditional valas, wraparound skirts. Still, when my boyfriend at the time suggested it… my mind was as blank as a new post draft in moments of deepest writer’s block. I imagined an exotic little getaway sitting at long white deserted beaches drinking fresh coconuts and working on that tan before returning to Europe. I actually wanted Fiji. And no doubious end of the world hole I’d never heard of. I was doubtful. But his passionate wish to go there and my neverdying adventurelust eventually encouraged us to transfrom the shockingly close to last bit of our bank accounts into flight tickets to Tonga. One month of yet unknown suprises lay ahaed of us. 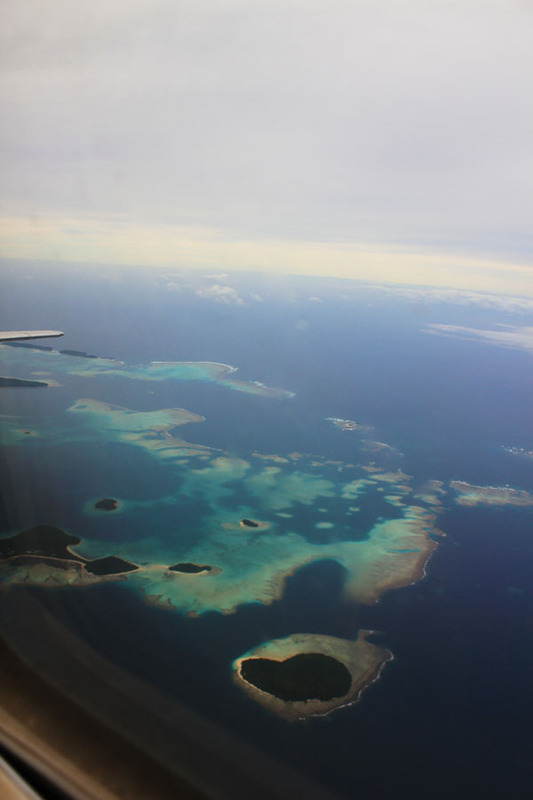 A three hour flight from Auckland, a half-hour ride to Nuku’alofa. 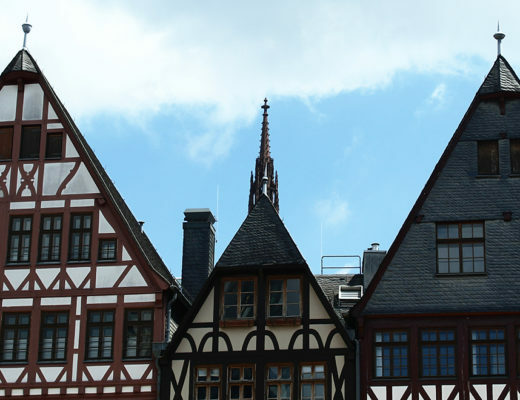 With a population of about 25.000, the capital is one of the smallest metropolises of the world. And romantically translating into “abode of love”. 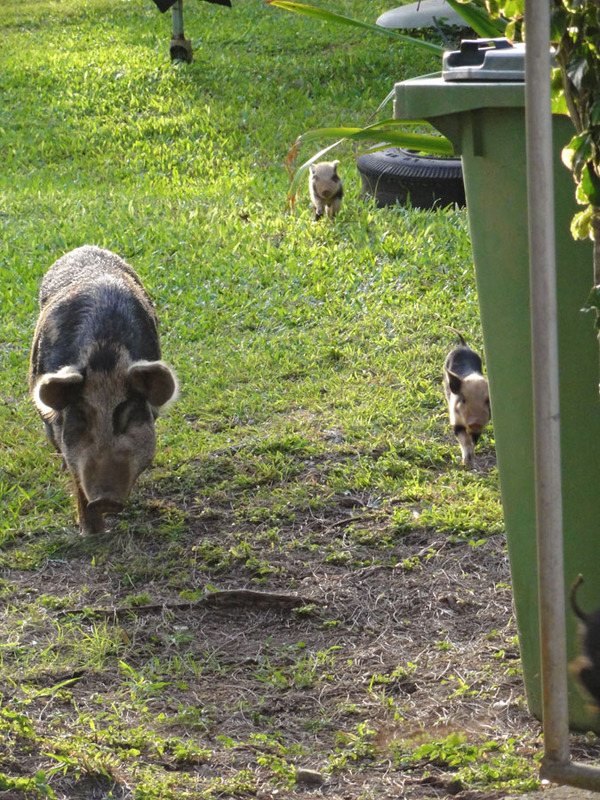 We were welcomed by wailing children, dogs, chicken and a whole squeaking pig family. It was something to get used to at first. The local airline might fail to get you, power might suddenly turn off, water might suddenly stop when you were just shampooing your hair. And chickens and pigs have right-of-way. Actually, traffic in Tonga is a matter for itself. Not only once, our taxi had completely shattered windows, either fixed with sellotape or resulting in the driver having to stick his head outside the door window to be able to see at all. But now look closer. And you’ll discover something truly unique. 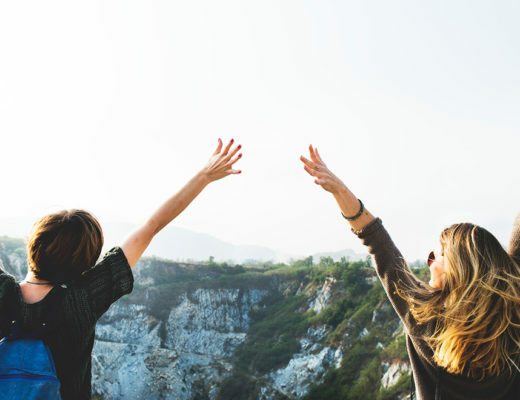 Culture doesn’t have to be seeked – it’s a vibrant, constantly available atmosphere all around you. 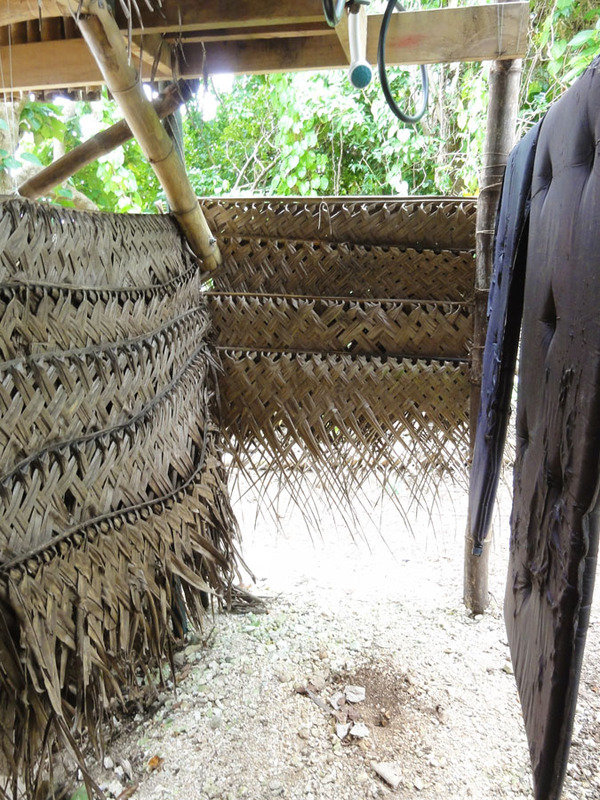 You’ll find local women in their backyards next to your guest house, weaving baskets. You’ll find entire islands to yourself. And there’s nothing that can’t wait until tomorrow. The exotic kitchen is known for the use of regional ingredients. Our taste buds experienced a whole new world. Roots of unknown names and colors, fruits picked from the trees just before preparation, all cooked in fresh coconut milk, together with just caught marine fish. This is then being prepared over a fire at the beach or slowly cooked wrapped in palmtree leaves. While eating, we were watching the graceful dance of locals, intertwined movements to traditional cheerful music, complemented by beautiful decorations. Enjoying a traditional Tongan Feast. Most dishes will to some extent include yams, taro, coconut, bananas and seafood as the most typical ingredients. There are all time favorites such as Lú pulu (beef with coconut milk in taro leaves), ‘Ota ‘ika (raw fish in citrus and coconut cream) or Topai (fresh doughballs with syrup and coconut milk). And if you then wanna settle down a little, grab a cold Maka, the local beer, and watch another guaranteed marvellous sunset. 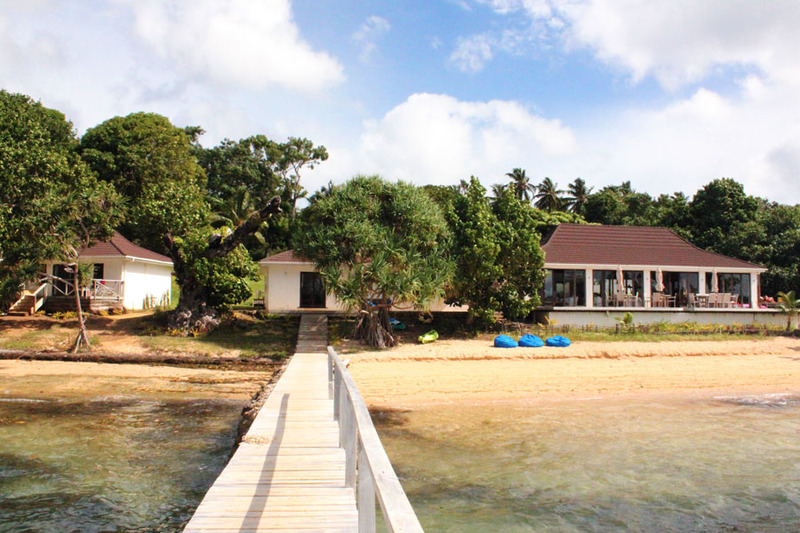 For our time in Nuku’alofa, we stayed at Nerima Lodge. A short walk out of town, it was a peaceful place with breakfast, wifi and tea & coffee included. And perfect base to let our endlessly curious souls explore the island. 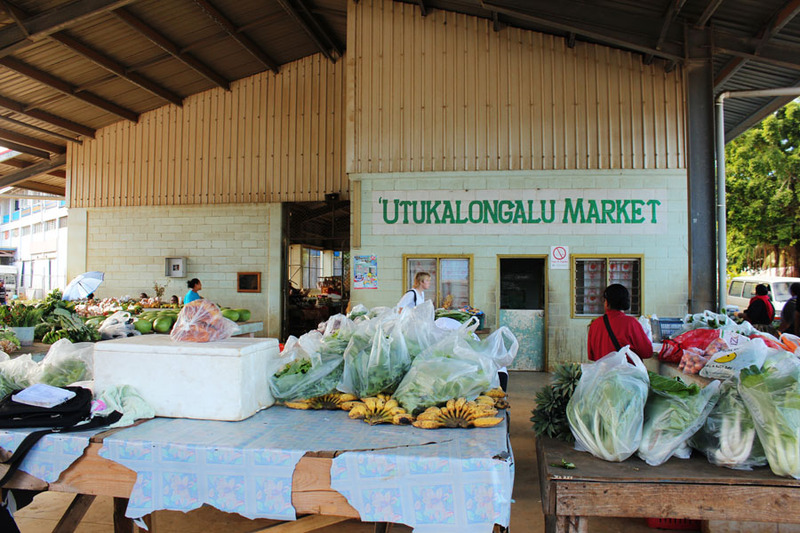 Local hotspot is the big two-story market hall offering all the regional agricultural products, art, souvenirs, kitsch. 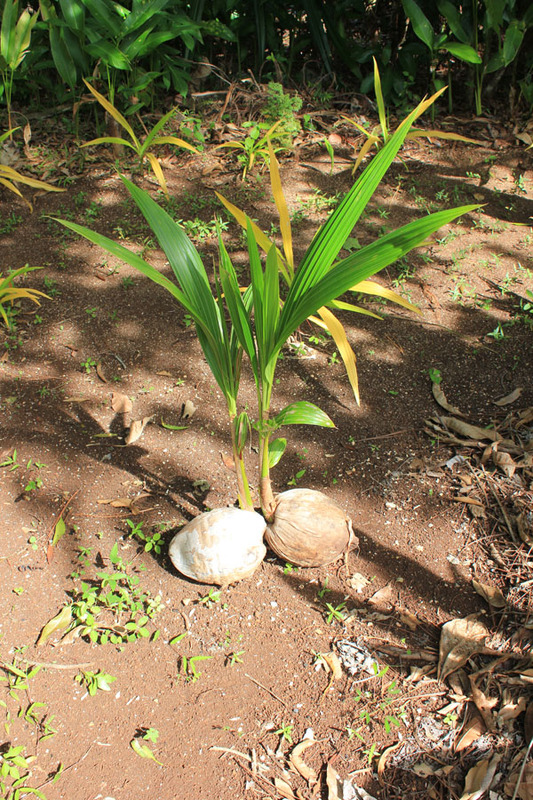 Always around are very common roots like taro, manioc, tapioca, in all variations of the local kitchen. Taro chips will definitely blow your mind. YUM! 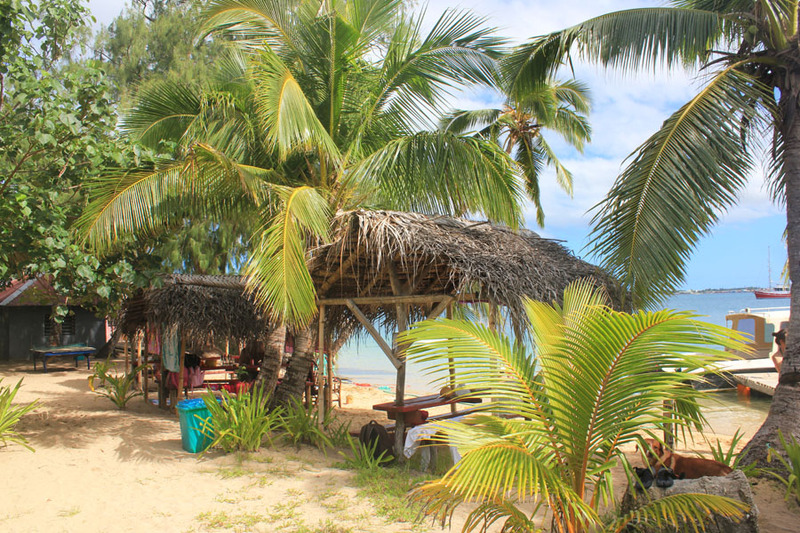 A famous place for expats, travellers and locals alike is Friends Café in the center of Nuku’alofa. The atmosphere light, the waitresses with big flowers in their hair, food and snacks of big variety, best place to relax, read books, book tours, whatever comes to your mind. Sightseeing highlights around the island are numerous. 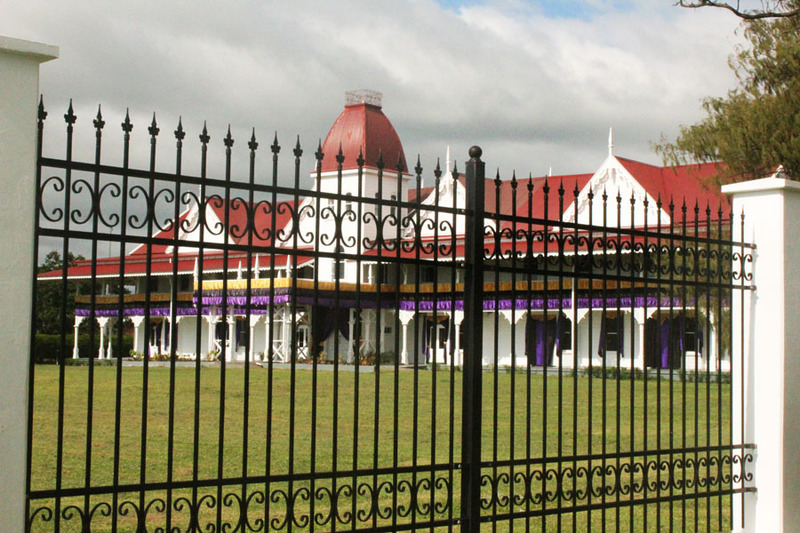 There’s the Royal Palace on the waterfront of Nuku’alofa. 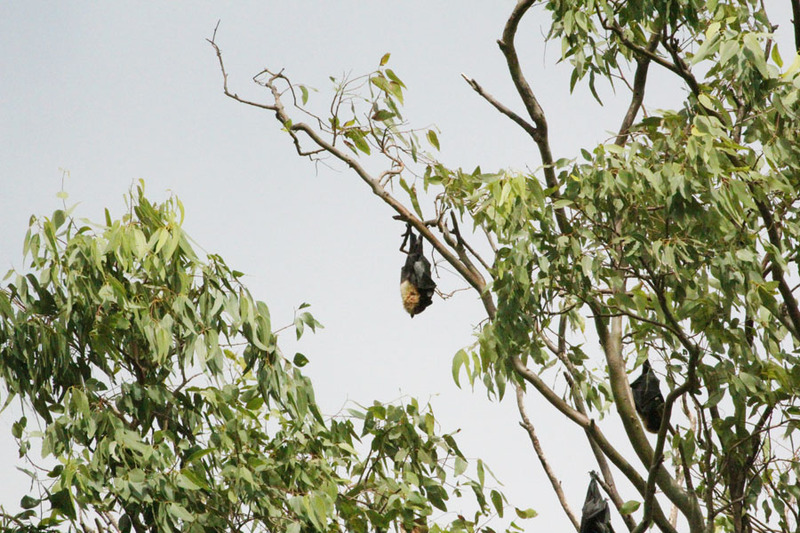 The flying foxes of Kolovai (18 km from Nuku’alofa), fruit bats with a wingspan of up to 1 meter. The Anahulu Cave, a flowstone cave whose path is lightened by hundreds of candles along cragged steps. It was completely dark, and we were dared to jump into the freshwater pool, a refreshing experience deep beneath the surface… Right behind a long stretch of white beach and one of the many, and quite common, burial places, with view over the turquoise sea. 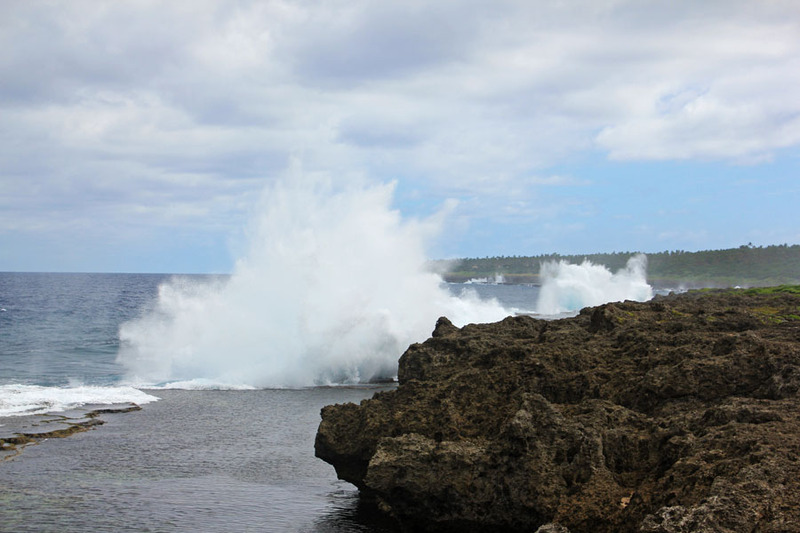 The blowholes at Houma, where incoming waves shoot up to 18 meters high through the coral reef’s holes. 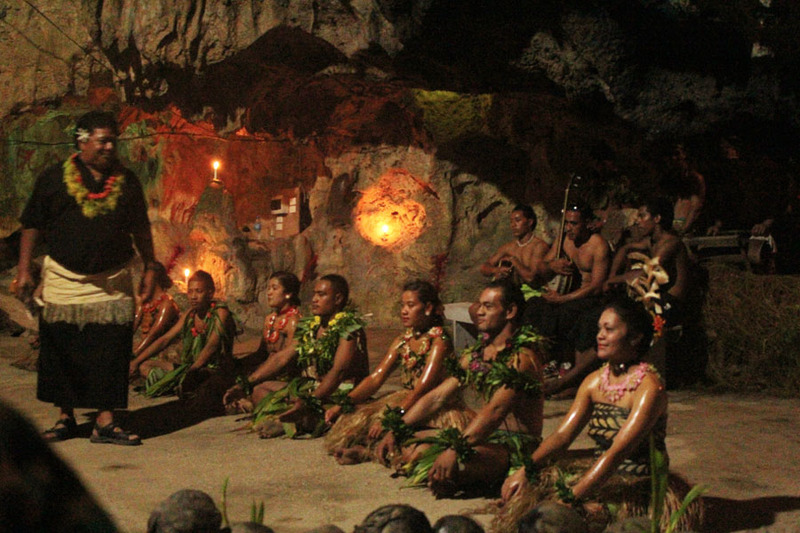 The resulting whistling sounds gave the place the nickname of Mapu ‘a Vaea, the chief’s whistle. Pangaimotu island, a dreamy daytrip just across from Nuku’alofa, a place to forget time, to watch life as innocently as it is in its purest form. We spent our first couple of nights in Hilltop Hotel, which was nice to get a good overview of Neiafu, the island’s main city, but hard to reach. Since it was, guess what, on the top of a hill. But we had to cover a couple of rainy days anyway and could still enjoy the wide view. 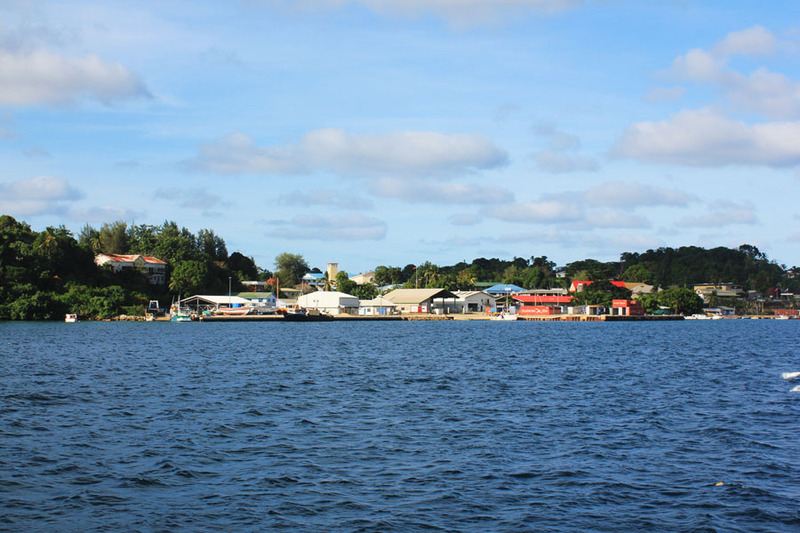 With a population of around 6.000 and Tonga’s second largest city, Neiafu offers anything necessary in infrastructre, even a hospital, and several international banks are available. From the first day we fell in love with our soon to be everyday hangout place, Mango Café, right at the waterfront, overlooking the secluded harbor. A fresh juice or a cold Maka beer at least once a day were a must. Going from there, we would walk along the promenade, and soon knew were to get the best fries, the cheapest coke, the ultimate bacon & eggs in the morning, where to have the friendliest chat with locals, who to ask for trip ideas. The few internet cafés with slowpoking modem lines made keeping in touch difficult, and soon, except for our camera, we just completely abandoned our electronic devices. 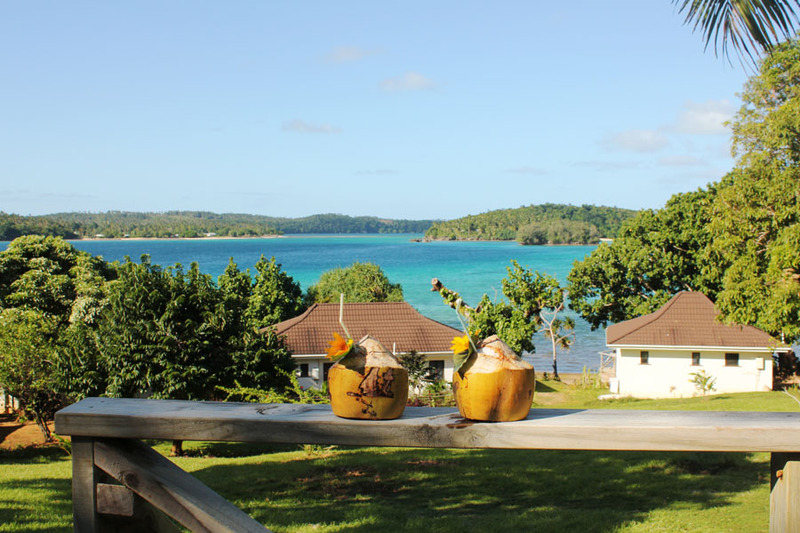 There was this tremendous sailing day … It was our first day in Vava’u, Tonga, and we were invited to join a day cruise on a sailboat. It was so spontaneous we barely remembered to pack swimsuits and the camera before heading off. Amazing local food was provided, snorkeling with little Nemos and Dories and around corals so colorful you wouldn’t believe. We dived 5m down to get into a hidden closed cave where every wave would change the air pressure and thousands of glittering silver fish seemed to perform a silent choreography. But you know what was the main impression I took from this trup during the following days? The worst sunburn of my life. Seriously, I was well-done. Crispy. Had to wear longsleeves for more than a week and couldn’t even go outside the first couple of days. I didn’t look like a lobster, I was one. Kids, never forget to to use sunscreen! And never mistaken gorgeous pictures to be flawless. Not a random postcard image, this is actually a real place where we went snorkeling with Nemo and Dori. 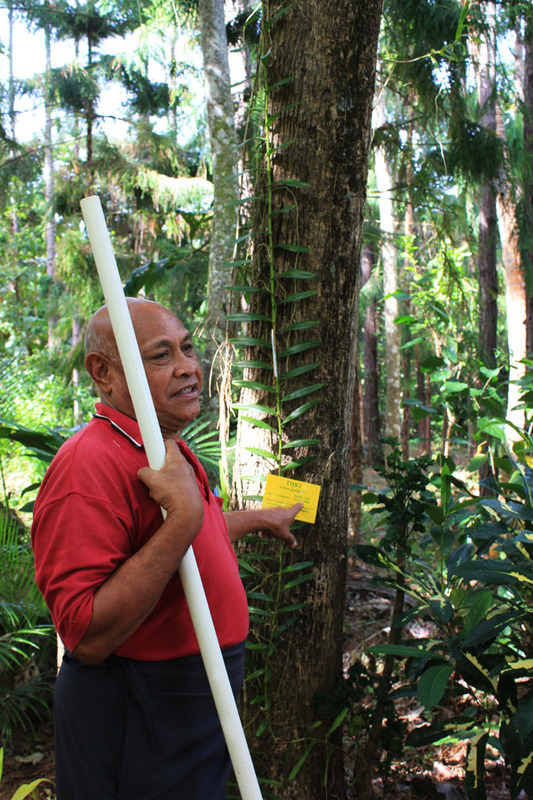 We went to Tonga’s only botanical garden and had the owner give us a tour, explain about local plants and how he would travel the world and talk to ministers to grow the garden and keep it alive. Pictures of him shaking hands with important people, of his family, of landscape shots and maps of Tonga were decorating his nearby house’s walls. He let us try his self-made Taro chips (of which we then bought three bags), gave us fresh coconuts, and showed us the secluded beach behind the garden that we had completely to ourselves. Trying to escape my fatal fate at the beach of the Botanical Garden. Snorkelling and diving around the Coral Gardens and Split Rock is awe-inspiring. Which made us, after the first time (we had a blast with these guys), go straight back a couple of days later for a second trip. Unfortunately, we were not in the whale watching season. 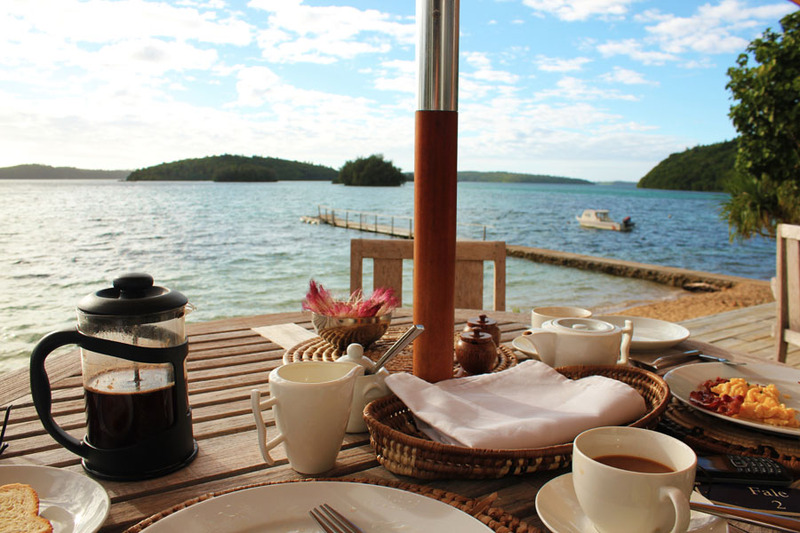 But from around June to November, Vava’u is one of the world’s best places to observe migrating humpback whales returning to their breeding grounds. Then we had this stay on an almost deserted island that literally felt like “The Beach”. 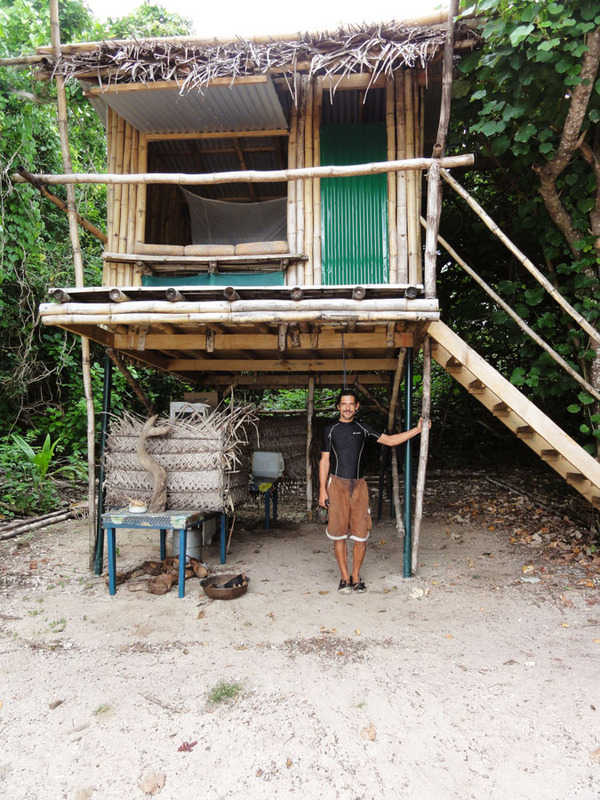 An eco backpackers. No electricity, no water. 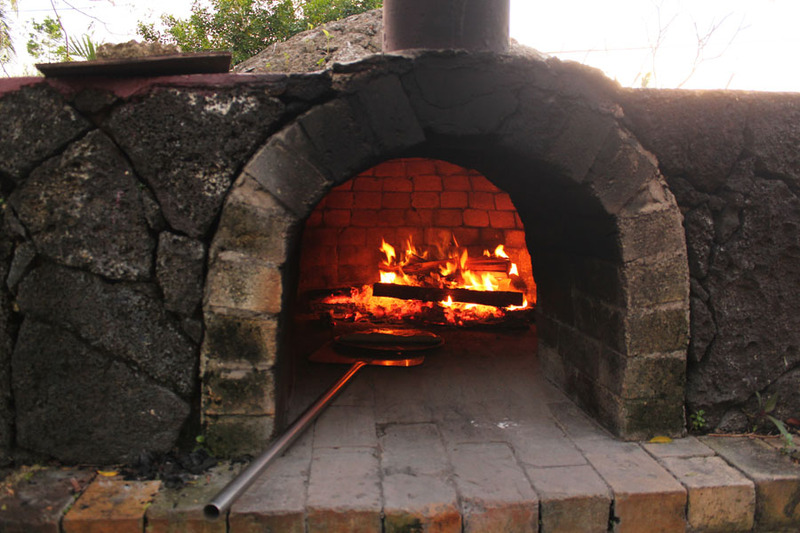 Food cooked every night over the fire (oh gosh you gotta try roasted coconut!). The days gone by with kayaking, snorkeling, exploring and collecting shells, reading, lazing around. 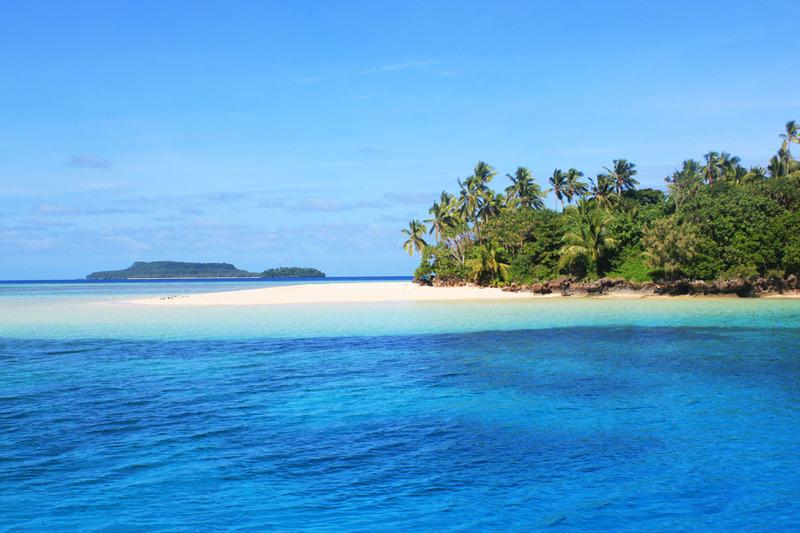 Long beaches dotted with palm trees, azure lagoons, thick djungle walking island inwards. Paradise. And no sharks. (But a big lizard one time dropping on my back, resulting in me jumping around screaming hysterically cause I couldn’t shake it off, very much to the entertainment of everybody around). Our cool host on Mafana Island. And the open air shower with seaview! Ya know, usual welcome drinks. Nope; snorkeling, hanging around perfect beaches, eating tropical food and watching terrific sunsets just didn’t get boring. Still curious? 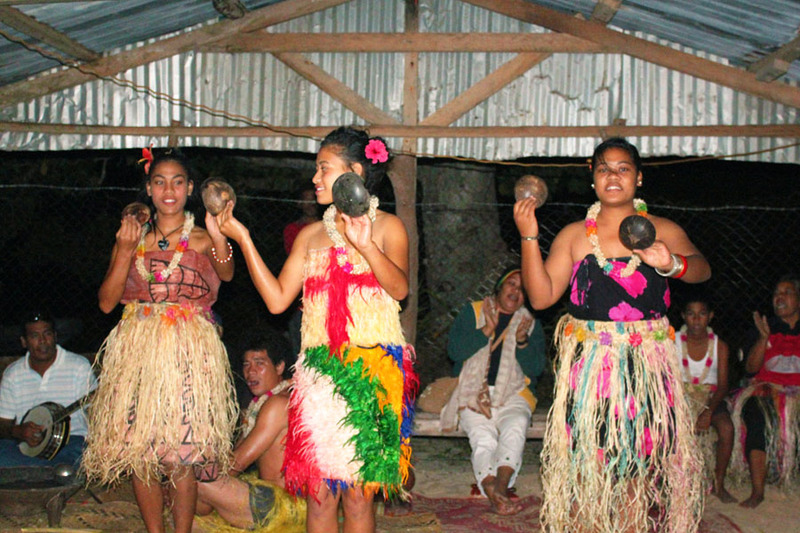 Check out this really comprehensive guide to Tonga or this put-together of see’s and do’s complemented by a bunch of articles and experiences. So. Make some space on your camera’s memory card and even more in your calendar. Cause once you’ll have experienced this, well… don’t blame me when getting in trouble for not wanting to come back! Yay, thanks Lucila! 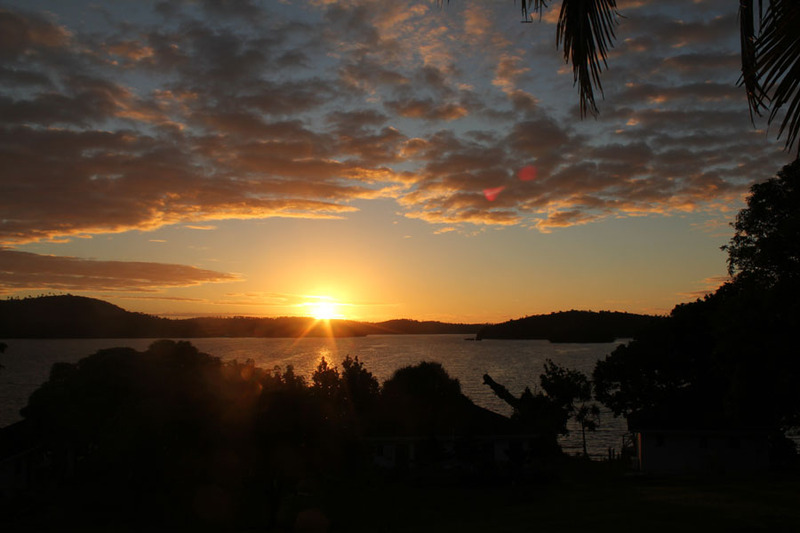 Glad to inspire you – Tonga is such a lil paradise off the beaten track. Wonderful post! I love, love all the pictures…beautiful.. Such a beautiful beaches they have! With all the original traditional cultures are still there, just adds up to our travel experiences, even better experience. If that’s the case then why not kiss the tourist-hyped places and go there? I bet you had an amazing stay in Tonga. Have you heard about Bali though? I think Tonga and Bali are pretty much the same. In Bali, people are still holding on to their traditions. 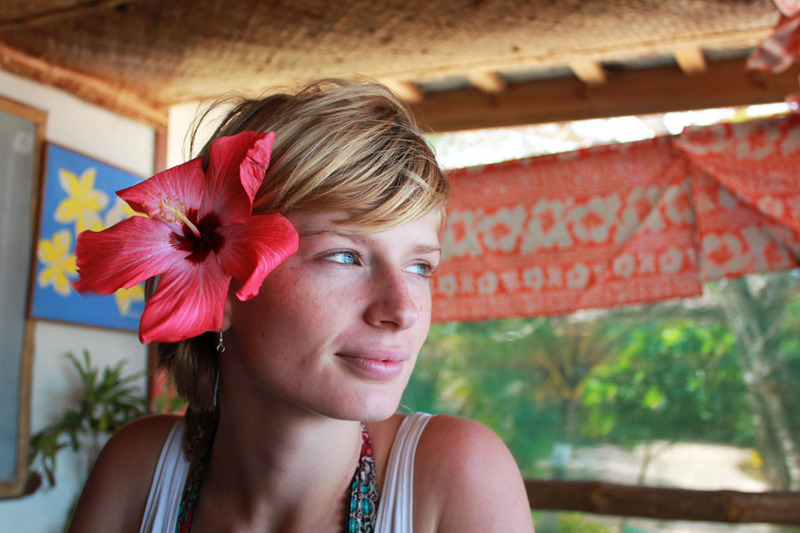 Beautiful beaches, nice people, great traditions, what’s there to say no to??? Come visit and see our luxury villas to accommodate your stay here! Thank you! Surely I have heard of Bali, but in fact never been. I was really close a few months ago, but then plans changed and I went to live in Israel instead for a while. It is definitely a place though I will not miss! Such a treat to read this as it’s a lesser known place to visit. I’ll add it to my list! The kingdom of Tonga, it looks like a Utopian island. Its true. What a gorgeous place, I have never heard of this place, but the post and the video has enthralled me. Small islands are my favorite destinations, and I’ll add this one to my bucket list, for sure! 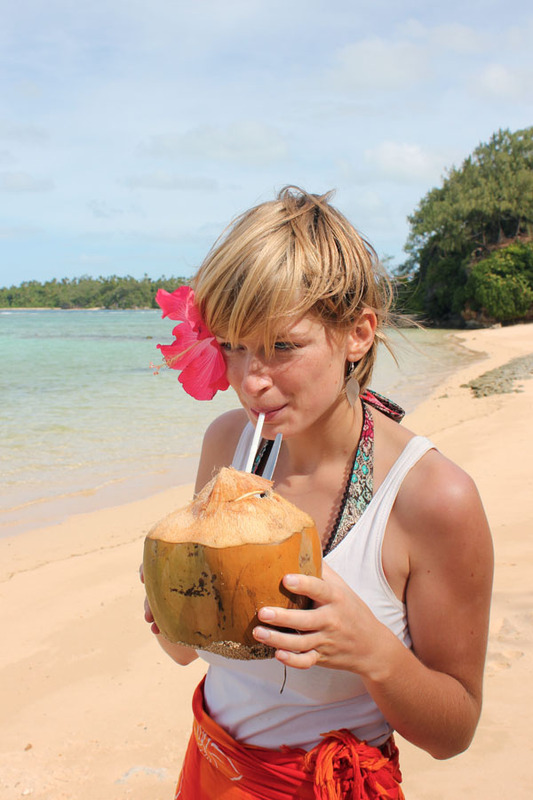 I loved reading your experiences, and I must try the roasted coconut; I’m sure it’s very tasty! It so is haha. Happy to inspire fellow island lovers! Listen, I’m gonna need you to stop fueling my wanderlust. Just kidding! Don’t do that. I literally sent this onward to my husband and was like, “Guess where we’re going next?? Get ready to leave the computer at home! WAHOO!” Thank goodness he’s always OK with my plans. Oh Susan, your comments are always just delightful! Making me happy to read and see the appreciation my content gets. This is exactly what keeps me going, what keep me believing in what I do in times of doubt. I will be very much looking forward to your post whenever you might come across this part of the world! … and of course all the other wonderful places you visit and write your absolutely fabulous texts about. It’s nice to see such a guide and story about a not-so popular destination. 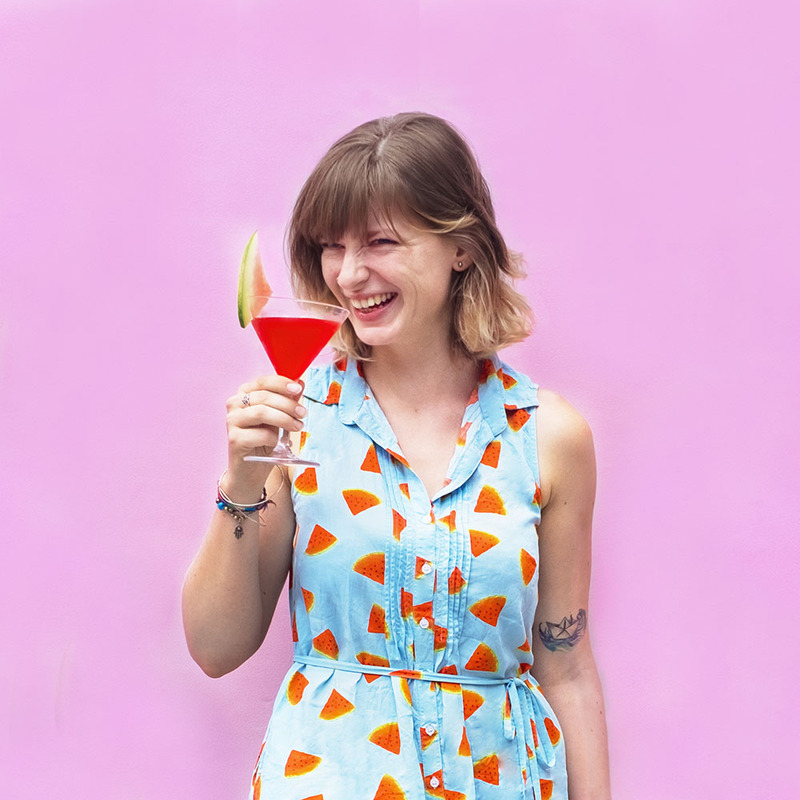 It’s the beauty of travel blogging isn’t it? It opens our eyes to new things and perspectives, which you clearly did. Great read and thank you for sharing your experience. Awesome place! I love to get away from the mass tourism spots. This is just something for me. And so many nice things to do. I hope it will never get spoiled! This place looks amazing! What a great adventure! It actually reminds me little bit of Hawaii, they are Polynesian after all, right? This language sounds very much like hawaiian, and some of the foods sound like they have similarities too. Very interesting post. Thanks for sharing! Haha, who doesn’t? I just can’t get enough of it! But in Europe they just taste like nothing.. sigh.. It looks incredible! 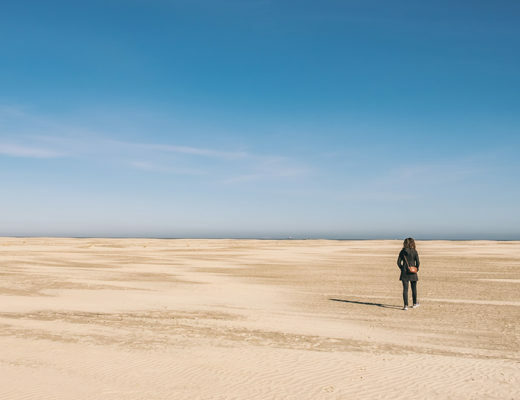 I love reading about places that are still relatively untouristic – the beaches look beautiful and the people sound really friendly! They are indeed! It’s just the perfect getaway! Wow, this is a remarkable destination to discover and explore. Your post is so details and the photographs are so beautiful, I think I have to add Tongo to my bucket list. Thank you sooo much for sharing and inspiring me! That was new to me. Never heard of this place before. It is always good to visit these untouched islands where you dont have to bump into the touristy crowd. Totally true – Tonga is indeed still kind of a secret..
To tell the truth I had no idea that a place named “Tonga” existed at all. Your photos are stunning. How’s the seafood there? I mean, I come from Greece where seafood is very popular but I wonder how things taste in other places except the Mediterranean. To be honest, I was vegetarian before I came to Tonga. But then I was stunned by the freshness and the… authenticity of the food, really. There’s no money to make big imports. Meat is just coming from the next yard where happy chicken and pigs run around, and as soon as you step into the Sea, it’s a variety beyond imagination (and not unlikely to step on a sea cucumber). So, to cut it short, I started eating meat and fish there after 7 years – that might speak for itself 🙂 – but I’m still putting focus on sustainability and origin, of course. 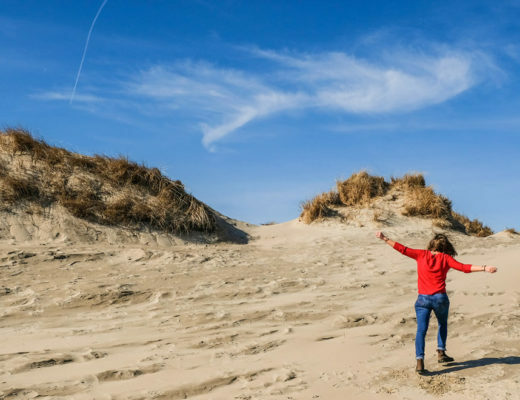 This is such an interesting article – I love that you visited a country that is so untouched by the rest of the world. I didn’t know it was one of the only countries to not be ruled by a colonial power. That’s pretty awesome. Sounds like a wonderful learning experience! Love it ! 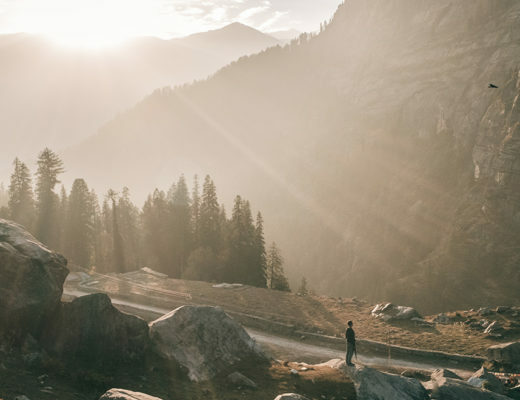 I’m always on the lookout for a combo of unspoiled beauty and great hospitality. Imma go on and pin this post! haha I love the way you write. The way you started the article was exactly what I was thinking when I saw the title. Great job!